Flores De Mayo is a Filipino festival that is celebrated as one of the May devotions, the Blessed Virgin Mary celebrated throughout the entire month of May. Celebration culminates with a religious and cultural beauty pageant—the Santacruzan. 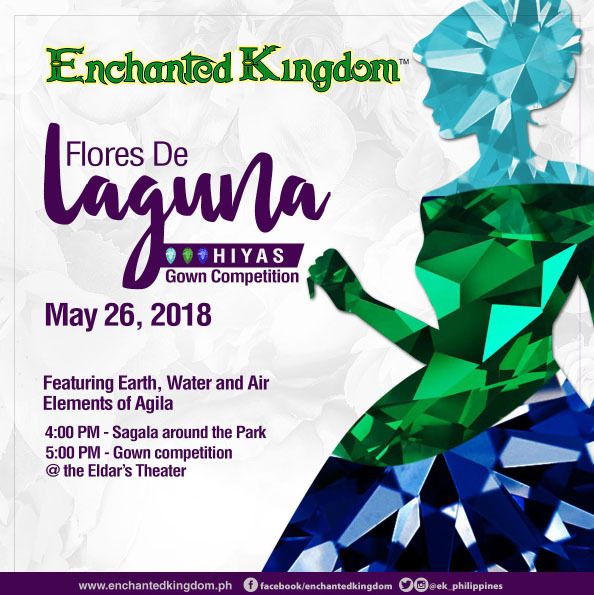 This coming Saturday, May 26, 2018, Enchanted Kingdom brings back their own twist on the Filipino tradition, Flores De Laguna, in partnership with the local government units of Laguna including the Depart­ment of Tourism, Laguna Tourism, Culture, Arts, & Trade Office, and Laguna’s Circle of Fashion Designers. Flores De Laguna is a celebration of our motherland and the Filipino creativity and beauty. As park goers appreciate the country’s most outstanding tourist destinations with EK’s Flying Theater Agila: The EKsperience, this time they are invited to witness the nature’s elements come to life through the designers’ creations in Flores de Laguna. Following this year’s theme, “Hiyas Ng Agila,” the designers were challenged to create and design gowns manifesting the earth, water, and air elements of Agila: The EKsperience. This event is an opportunity for twelve most promising Filipino designers and loveliest ladies to showcase their passion for fashion as they sashay their way around the Park, celebrating the meaningful religious tradition of flower offering and celebrating the culture of the Philippines. The “sagalas” will go on a Santacruzan-like parade around the Park at 4pm, followed by the gown competition at 5pm at the Eldar’s Theater. 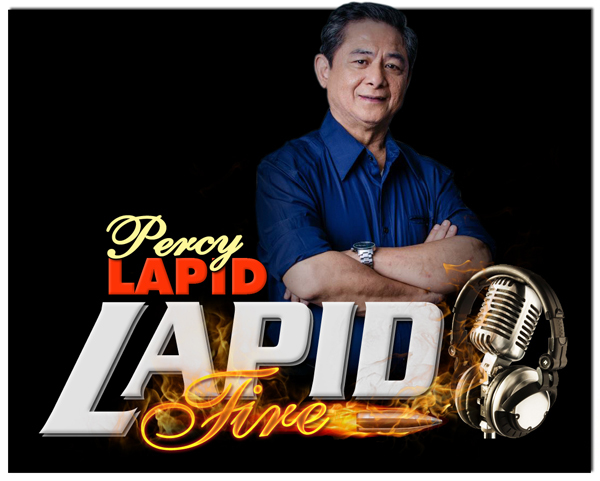 The themed gown competition will be judged by some noted personalities, which include James Cooper, Jacque Gonzaga, Shanon Pamaong and Dr. Cynthia Romero Mamon. Through its events, Enchanted Kingdom aims to promote not only its rides and attractions but also Filipino culture and build national pride, as the talented Filipino designers and models display their original creations. For more information, please visit www.enchantedkingdom.ph.